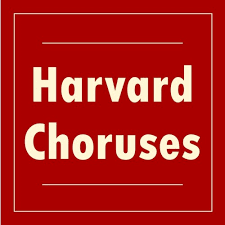 Harvard Glee Club alumni won’t want to miss any of these exciting offerings from the Glee Club and other Harvard Chorus this fall, both at Harvard and beyond. See below for details. Get a first look at the Glee Club’s exciting repertoire -- new finds and old favorites alike -- at this year’s concert by the Harvard and Princeton Glee Clubs. This will also be the Sanders Theatre premiere for the Glee Club’s new resident conductor, Nathan Reiff. American musical titan and one-time Glee Club accompanist Leonard Bernstein is beloved by generations of Harvard choral singers. This concert brings together all three of the Harvard Choruses as well as the Harvard-Radcliffe Orchestra, to perform Bernstein’s Lamentation from Symphony No. 1 “Jeremiah” and his Chichester Psalms in honor of the centenary of his birth. Also on the program: Richard Strauss’ famous tone poem, Also sprach Zarathustra. Join Collegium for their fall concert of choral masterworks featuring Brahms’ groundbreaking Ein deutsches Requiem (scored for two pianos) and the early Bach cantata, Actus Tragicus (also known as Gottes Zeit ist die allerbeste Zeit). The Radcliffe Choral Society plays host to internationally renowned choral director Dr. Lynnel Jenkins and high school students from around Massachusetts for a day of workshops and learning in celebration of treble choral music. The concluding concert will feature performances by the Choral Society and combined repertoire featuring all festival participants. As the Crimson tries to avenge last year’s home loss in The Game, the Glee Club will do its part with its last concert of the fall season in New Haven. Join generations of past and present Glee Club members and other alumni to celebrate choral singing, sing the football songs and alma mater, and, of course, beat Yale.